The Japan Union Conference comprises the East Japan and West Japan conferences and the Okinawa Mission. There are 97 churches in Japan, with a membership of 15,151. With a population of 125,310,000, there are 8,270 Japanese for each Adventist. To Sabbath School teachers: This story is for Sabbath, Aug. 25. Aoki [pronounced: AO-ki] had never met a Christian or opened the Bible when he enrolled in the Seventh-day Adventist Church’s sole college in Japan. He didn’t even know that Saniku Gakuin College was a Christian institution when his parents paid upfront for two years of tuition. Aoki just knew that he wanted to learn English, and the college had a good reputation. Aoki followed the other students to the meeting room. He had never seen a Bible or hymnal in his life and certainly didn’t own either. He listened awkwardly as the other students sang and then opened their Bibles. When worship ended, Aoki was ready to go home. But then he remembered that his parents had paid for his tuition for two years, and he resolved to wait it out. “This was my very first contact with Christianity,” Aoki said. Many Japanese people, like Aoki, have never met a Christian. Just 1 percent of Japan’s population of 127 million are Christian, and of those only 15,151 are members of the Adventist Church. The country is largely Buddhist. Aoki was not a Buddhist when he entered the Adventist college. He just didn’t have any interest in spiritual things. But his classmates and teachers were kind. They explained Christianity to him. “And because they befriended me, my impression of Christians became good,” he said. He enjoyed attending church and conversing with his new friends. He began dating an Adventist woman. But he saw no reason to be baptized. After two years, he received an English-language teaching license and decided that he wanted to teach at the Adventist college. But he knew that he would have to become a Christian first—and that meant that he needed to study the Bible. The chaplain wouldn’t let Aoki off easily. “When you come back next week, you must decide the date of your baptism,” he said. Aoki called his Adventist girlfriend, who was teaching at an elementary school in another city, and explained the situation. He asked when she would be able to attend his baptism. She had only one free day over the next few months, so Aoki made that his baptism day. 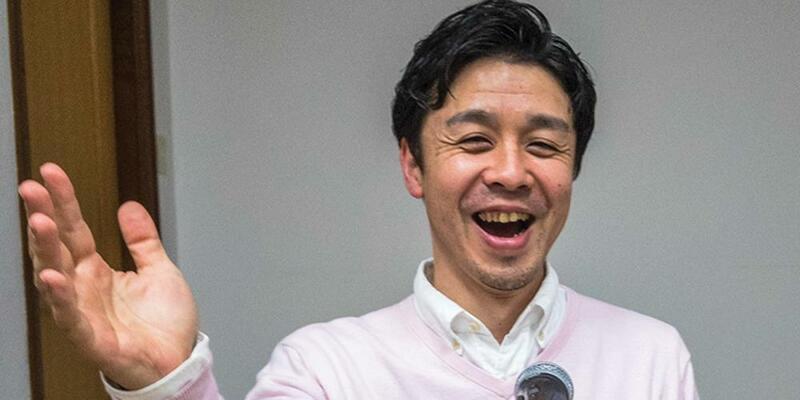 Today, Aoki is 42 years old and a leader of the Japan Union Conference. He also is the pastor of the country’s only Adventist youth church, Tokyo’s Setagaya Church, which trains young people to be gospel workers. Part of this quarter’s Thirteenth Sabbath Offering will help the church expand its youth work. Aoki said the secret to introducing Japanese young people to Christ is love—the same principle that attracted him to Christ at the Adventist college.